The location will be a crucial point to consider when buying a bed and breakfast property in Cardiff. It could be a busy prime location you are after or a quieter area. Regardless of the type of location you choose, get your B&B search to buy in Cardiff started with MOVEHUT. Size and room count is likely an important factor when searching for a bed and breakfast for sale in Cardiff. 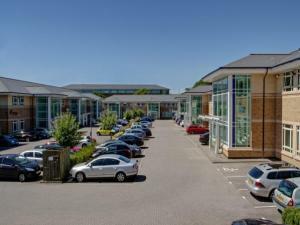 You'll likely want a property size that matches your anticipated level of business in Cardiff. Renovation is an option too if you find a suitably sized guest house property that doesn't quite match your standards. Make sure you understand what a bed and breakfast is and how it differs to other similar property types if you are looking to buy in Cardiff. A bed and breakfast in Cardiff is often considered to be a cheaper alternative to larger hotels. You will also find that many people in Cardiff refer to a B&B as a guest house.